Home » Administrators Page » Are you looking for a smart goal idea? 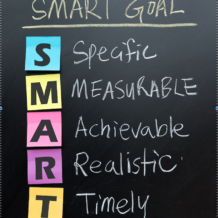 Are you looking for a smart goal idea? Last year our school district asked all the SLPs to put together an inservice for teaching assistants. We all actually used this as an activity as one of our smart goals. I put together a packet which is divided up into two parts, a presenter copy with information to use as a guide and a participant packet that provides both information and an outline (to encourage some note taking and active listening). The information I presented in the hour long inservice included who we are, what we do, our training, who we work with, what we work on, how language difficulities impact learning along with some suggestions on what they can do in the classroom setting. With dollars tight, schools are often looking toward their own resources to share knowledge. I was pretty much on my own when it came to writing a smart goal, I hope I got the form right. Maybe a little light on measurable. However, It worked for me. To share my knowledge of language development with parents, support staff and administrators by providing additional information on language development and practical strategies to aid student success. Support staff will participate in an inservice to understand the role of the SLP in school, what the SLP works on and specific language strategies that support the underlying language needs in the classroom. Parents and administrators will receive additional time and materials when needed or requested, to help understanding of individual student’s specific language needs and/or disability. 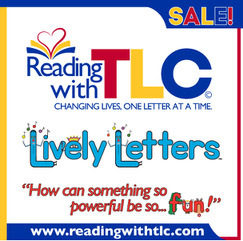 In addition parents, will be provided strategies, suggestions and materials to help develop underlying language needs in the home as needed. If you like this idea and don’t want to reinvent the wheel, Speech and Language Services In Schools In-service for Teaching Assistants is available on Teachers Pay Teachers. I should add that I also supplemented the inservice with a grade specific language development expectations list. The inservice went over well. I received a couple of nice compliments. I think I provided a little insight if nothing else. Thought for the day: Is your Professional Liability Insurance up to date?